We welcome your questions! Send them to either the address below or email them for inclusion on our FAQ page. Be sure to mark is as Subject: FAQ. 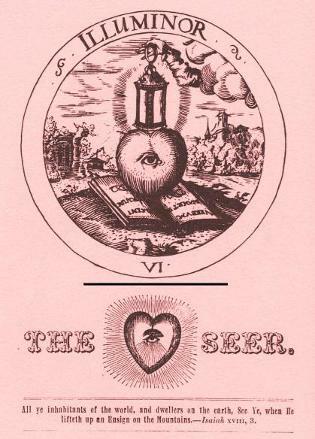 The Brotherhood of the Rosy Cross is a living branch of the original fraternity of German Pietist-Theosophists or true Rosicrucians; a brotherhood and sisterhood of Christ and the blessed Sophia of holy wisdom and mystical illumination; alchemists and adepts of hermetic knowledge, religious, theosophical and spiritual truth. Q. Is the Brotherhood an occult group? A. Genuine Rosicrucianism relies on the power of God. It has nothing in common with the sinister practices of black magicians and sorcerers. While the word "occult" simply means hidden, there is a world of difference between the unholy sorcery of black magic and the holy science of the Magi, who were the first to recognize the divinity of Christ. Q. Is the Brotherhood related to other Rosicrucian organizations and is it New Age? A. While not passing judgment on other groups, the Brotherhood has no relation to modern forms built on the teachings of Freemasonry, "esoteric Christian," or New Age ideas. Q. Why are you so secretive? A. We follow the injunction of our Lord Jesus Christ to do our works in secret, hidden from the world (Colossians 3:3) and not drawing attention to ourselves. "That thine alms may be in secret: and thy Father which seeth in secret himself shall reward thee openly. And when thou prayest, thou shalt not be as the hypocrites are: for they love to pray standing in the synagogues and in the corners of the streets, that they may be seen of men. Verily I say unto you, They have their reward." (Matthew 6:4-6). A. True Rosicrucianism has from its very beginnings taught and practiced the true Christian faith and sought only a reform of the church which had strayed far from the simple teachings of Christ, "In whom are hid all the treasures of wisdom and knowledge." (Colossians 2:3). Its goal is spiritual illumination, acquiring the Holy Spirit and the mind of Christ (1 Corinthians 2:16) rather than making converts. The kingdom of God is within (Luke 17:21). "A (true) Christian is of no sect: He can dwell in the midst of sects, and appear in their services, without being attached or bound to any. He has but one knowledge, and that is, Christ in him. He seeks but one Way, which is the desire always to do and teach that which is right; and he puts all his knowing and willing into the Life of Christ" – Jacob Boehme. Q. Must I be a Christian to belong to the Brotherhood? A. Unlike the churches or "Babel," which hold to the dead letter, the Brotherhood seeks only to follow the teachings of Jesus, who taught that "God is a spirit, and those who worship Him must worship in spirit and in truth" (John 4:24). The Holy Bible is the grimoire par excellence, the preeminent influence on the Western Esoteric Tradition and the practice of thaumaturgy or wonder-working, called by some High Magic. Throughout history, virtually all practicing alchemists, magicians, hexenmeisters and hexendoktors, even root workers and village wise women, have been pious and devout Christians. "One thing must not be omitted, in conclusion, and that is, we must first become Christians before we can perform cures by Christian methods. Very few are really Christians who call themselves such; they are only Christians in name and appearance. The art of healing, according to scriptural principles, deserves special mention in this place, in more than one respect, not only because something truly magical takes place therein, but because scriptural healing is often regarded as the only true one. The principles of this art of healing have been fully established according to certain declarations and doctrines of the Bible." Q. How old is your brotherhood? A. The Brotherhood of the Rosy Cross is a living branch of the original Rosicrucian Brotherhood founded by Christian Rosenkreutz in 1407 and brought to America by Johannes Kelpius in 1694. Q. Are there any practical benefits? A. The Brotherhood of the Rosy Cross is not just another starry-eyed body of dreamy mystics. Hermes Trismegistus was the greatest of mystical teachers and yet he taught the value of being practical and wise in the ways of the world. The Bible calls Solomon the wisest of men, yet he was also the wealthiest. Zoroaster taught that life is a gift of God, and not to enjoy the goodness of life was in itself sin. We want to enjoy and share with others all the good that life has to offer, without being a slave to any material thing or desire. We crave liberty from the dullness of a 9 to 5 life. We are not willing to trade our life and our freedom for a weekend's respite from slavery, two weeks vacation every year, or a gold watch at retirement. Q. Will your teachings work for me? A. That is entirely up to you. It is, however, believed that everyone who enters the Brotherhood and stays the course will eventually achieve illumination, prosperity, happiness and greatness in life. Q. How do I know all this is true? A. Come and see! Find out for yourself. We invite you to inquire further.